Will British science suffer as a result of Brexit? The ‘leave’ vote in the UK referendum last week has shocked over half of Britain, and indeed the whole of the European Union (EU). The result has caused dismay among senior scientists in Britain regarding potential implications for both the existing free movement policy that allows brilliant scientists from all over Europe to spend time in our laboratories and vice versa, and the potential loss of research grant support, which amounts to almost £1billion a year. As reported in the national press, Professor Boyle, vice-chancellor of Leicester University, referred to the shocking result as a “dark day for UK science”. Very rightly, in my view, Professor Boyle urged members of the scientific and academic communities to counter any impression that may be derived from the leave vote that the UK will be hostile or less welcoming to European students and researchers. Nobel Laureate Professor Paul Nurse, director of the Francis Crick Institute, has said that for UK science to remain at the forefront of international research and continue to prosper, Britain’s scientists would have to work hard to counter the isolationism that may result from Brexit. He considered the result of the referendum to be a “poor outcome for British science”. Professor Nurse said to journalists that science thrives on the exchange of ideas and “flourishes in environments that pool intelligence, minimises barriers and are open to free exchange and collaboration”. The views of these two senior scientists represent the feelings and concerns of the majority of the academics in the UK regarding the potentially deleterious –if not catastrophic- implications of the leave vote. Will the UK science budget be protected? Will European talent be put off by the hostile attitude of the Leave camp toward immigration? Will the post-Brexit government make up for any shortfall that may result from the lack of European funding? Will the influx of brilliant European minds to our laboratories dry up? Will the EU Horizon 2020 programme be affected by the UK’s decision to leave the EU? Will Brexit represent a bad signal to those extremely brilliant academics and scientists who would otherwise be applying for professorial positions in UK universities and major clinical-academic positions in the NHS? Will some of those individuals from other European countries who have now settled in the UK and hold senior positions in the University, NHS, and the private sector feel unwelcome enough to decide to move back to their countries of origin? Such a move will involve the exodus of spouses, children and other relatives. How will the UK, which relies heavily on researchers from different European countries (approximately 16% of UK university researchers come from other European countries), cope with a potential exodus of scientists and a reduced arrival of good researchers from Europe? Will China and India be the providers of the very much-needed scientific talent in the future? 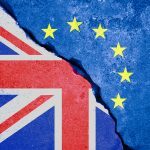 Like the Nobel Laureates and many other senior academics who have spoken their minds, a very large number of scientists, academics and clinical academics in the UK, relatively silent so far, are extremely concerned about the future of science and academic medicine in the UK, as a result of the Brexit vote. The decision to leave the EU has been extremely depressing in my view and, very worryingly, many of the promises made during the referendum campaign by the Leave politicians have been broken already. Strong leadership is needed for the scientific community to minimise or avoid the decline that moving away from Europe may impose on British science.